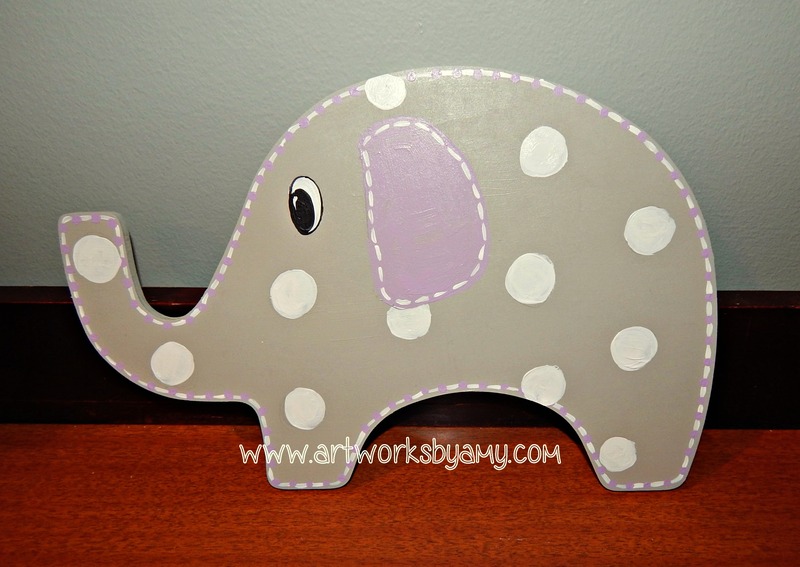 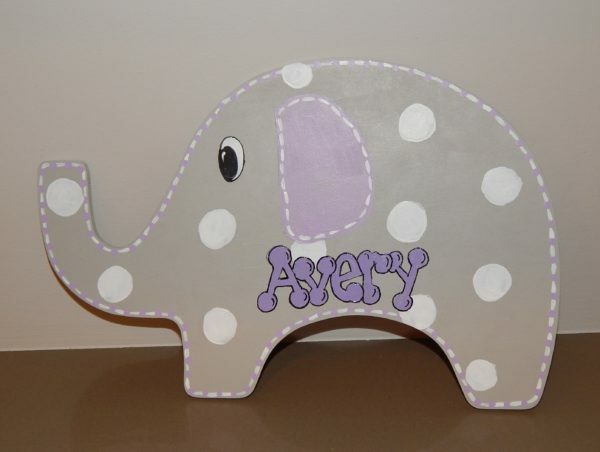 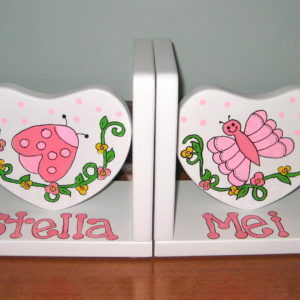 Our Elephant shape hand painted wood door sign will make a beautiful addition your baby’s room. 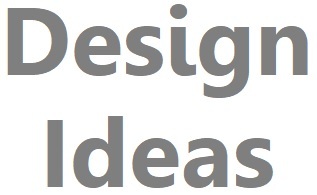 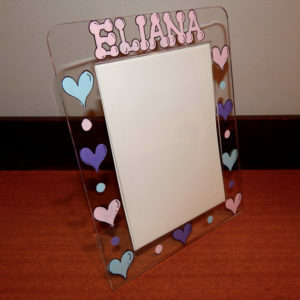 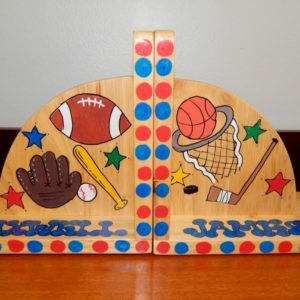 Works as a door sign on the outside, or hung on the wall as an addition the decor of the room. 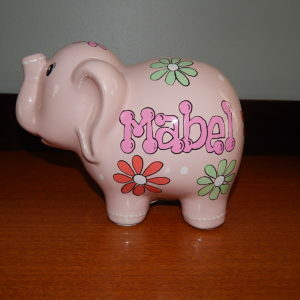 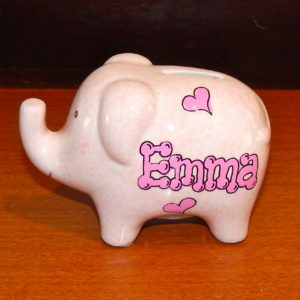 We can paint the elephant piece to match the colors of your room and add a name or any birth information you’d like on the piece. 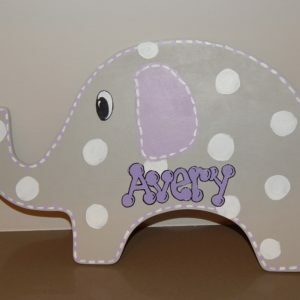 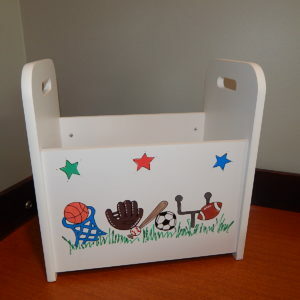 Feel free to contact us at amy@artworksbyamy.com with any questions regarding the design and colors for this item.